I often have trouble trying to find that little white arrow in the visual overload of colors, explosions, aoe effects, UI, etc. 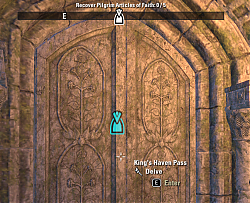 This is an attempt to make those quest markers much more obvious. 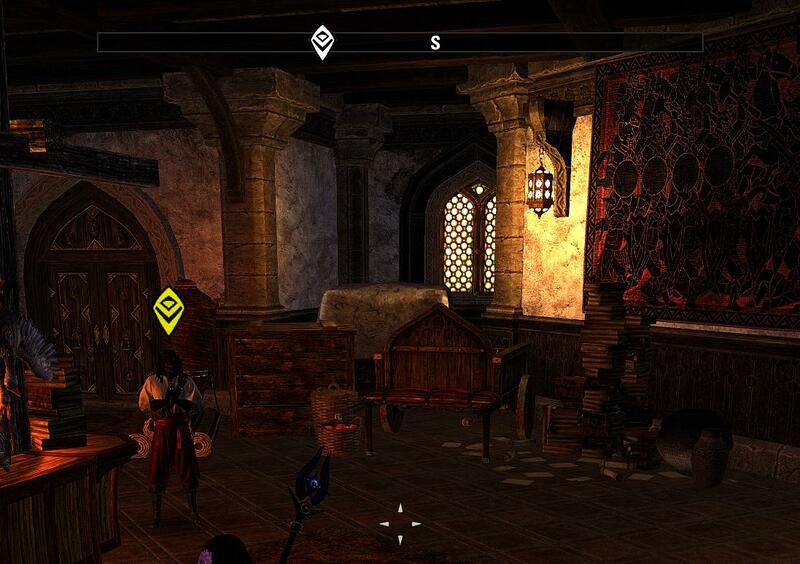 This currently changes the floating in-world icons, compass icons, and map icons. Show the in-world CQM icons and show the default icons on the compass and maps. Resize the in-world icons anywhere between 32x32 to 96x96. Color options. Aqua, blue, fuchsia, green, lime, maroon, navy, olive, purple, red, teal, vanilla, and yellow. ** Changes to the compass and map icons will only happen after reloading the game. Changes to the in-world icons (theme or size) will happen immediately. 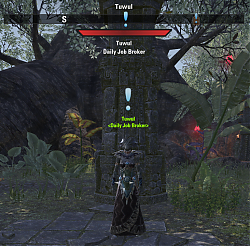 1.9 2019-04-15: API bump for Elsweyr. 1. Added the zone story quest icons to the compass. I never noticed these until I started playing alts during the event. I'm sorry I missed these. 1. Old School Theme: Added ? icons for the zone story quest icons. Thank you to NTak for the idea! 1. Added zone story quest icons for Wrathstone. 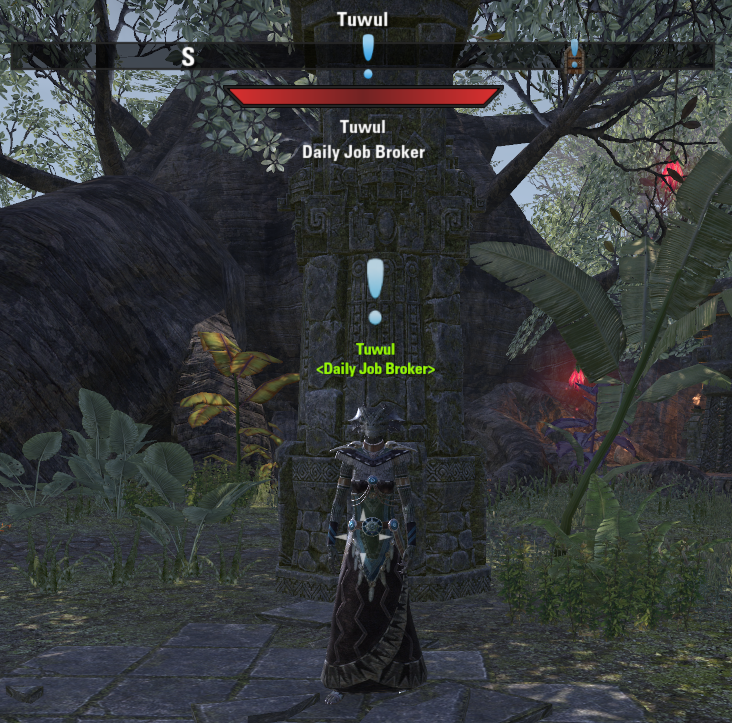 1.5 2019-02-23: Added in some "Old School" quest markers. They look better at 64x64 and I put them together pretty quickly so they're not perfect but it was for fun. 1. Added options menu. Use slash command /cqm. 2. Added option to only show the in-world CQM icons and show the default icons on the compass and maps. 3. Added option to resize the in-world icons anywhere between 32x32 to 96x96. 4. Added an initial 13 color options. Aqua, blue, fuchsia, green, lime, maroon, navy, olive, purple, red, teal, vanilla, and yellow. I included vanilla as well. 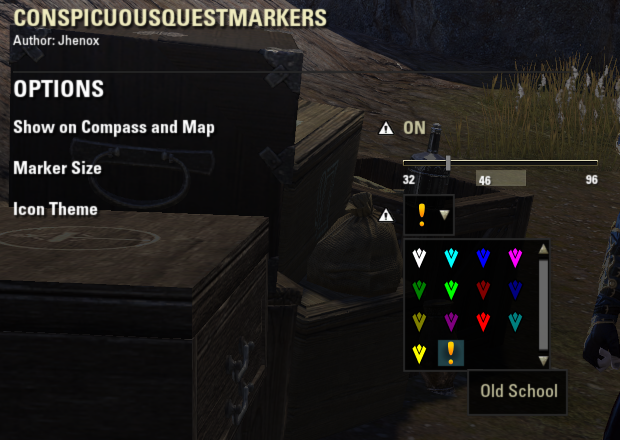 Use this "theme" to use the default ESO icons if you just want to resize the icons. 1. API bump for Wrathstone. 1.2 2019-02-18: Corrected a scope mistake which was causing the compass textures to not load. 1.1 2019-02-18: A couple small fixes. I realized I still had some bit referencing PointsofColor. 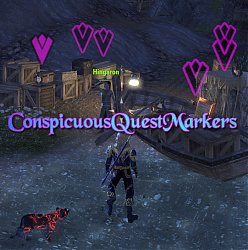 I'm having trouble with none of my compass icons appearing now but others say they appear normally so I'm not sure if it's just me or something wrong with CQM yet. Hi. Thank you for the mod. 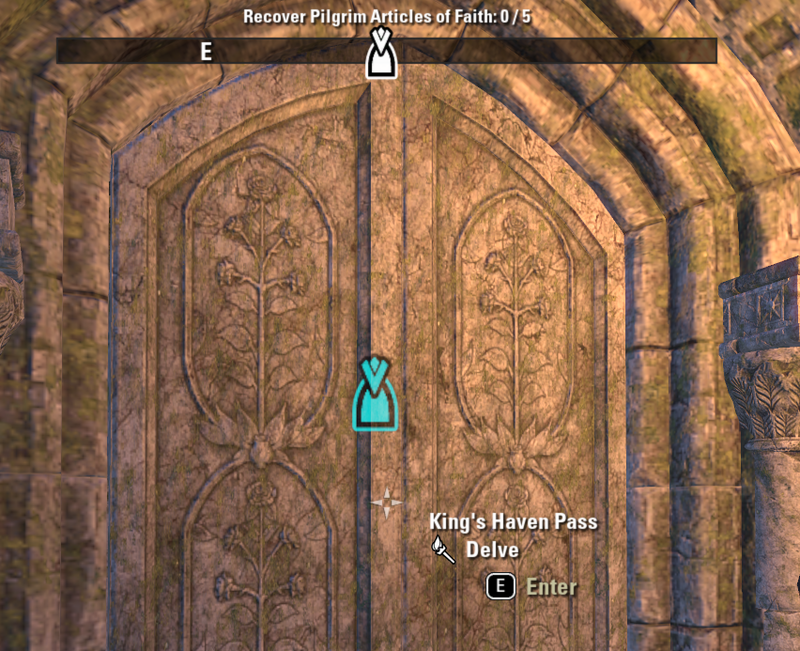 Is it possible to have an option for ONLY pins on compass and WITHOUT in-world CQM icons? 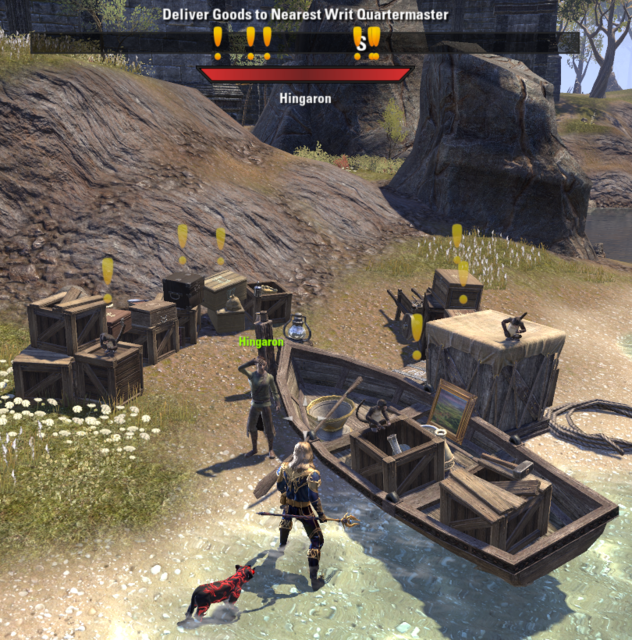 I am using an awesome mod Pin killer for immersion but your mod overwrites this mod and shows the icons in the world. Would it be possible pls? I was lazy. The assisted and unassisted are currently the same for Old School. I will add something to differentiate them soon. Thank you for the idea. I just added it. Is the color ok? Should it be something other than yellow so it isn't confused with the regular quests? I'm glad to know someone is using the Old School theme. I put it together pretty quickly for fun and I was curious to see what it looked like in the game. I was thinking about making the unassisted (non targeted quest) grayscale maybe? I'm hesitant to make changes without feedback. I always seem to upset someone when I make any changes. 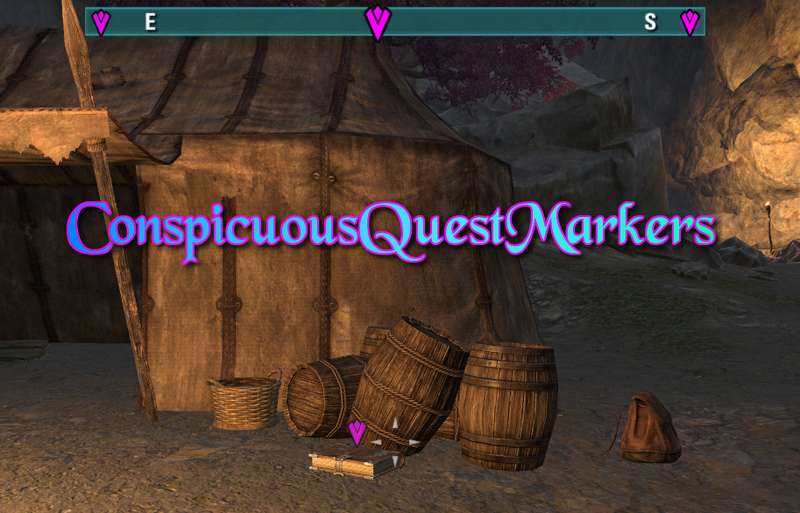 Would it be possible/easy to have the “!” for normal quest and - let's say - “?” for "main" quests ? No problem for the idea. Thank you for adding it. Don't ask me "Is the color ok? ", I'm gonna tell you I'd prefer a customizable one for each quest icon. But I think having the same color for “!” and “?” isn't confusing. Which one is the unassisted? If it's the blue one, it's nice because it's more or less the same color than the regular daily craft quests icon. If it's the “yellorange” one, it could be nice to have the same color than the regular quests icon. But I admit I do like the current colour. I think the best way to not be afraid of upsetting anyone is to add new possibilities without removing the previous ones. WoW style, it is divine. Last edited by NTak : 03/22/19 at 09:41 AM. Last edited by Jhenox : 03/18/19 at 06:12 PM. Last edited by NTak : 03/15/19 at 02:35 AM. Hello. So far I haven't been able to find how to control that in the API. I'm also looking for something to control the distance that it appears. I will keep digging through the files though. Is it possible to add an option to make the icons solid? the icons be as clear as the ones on the compass? 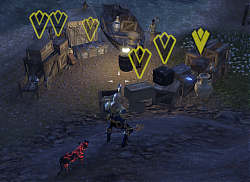 Added in some "Old School" quest markers. They look better at 64x64 and I put them together pretty quickly so they're not perfect but it was for fun. Last edited by Jhenox : 02/23/19 at 08:43 PM. Thank you for the suggestions. I didn't want to commit to anything but I was thinking about adding color options, other shapes, and maybe sizes as well. 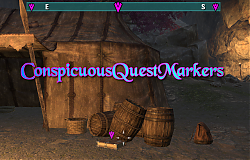 This looks like a very interesting addon. I tried your v1.1, and I was also missing the pointers. In fact, even after I disabled and reloaded, they were still missing. At that point, I had to then uninstall and delete all variables. I figured that I'd try it again after a few days. I see you have v1.2 up now, so I'll give it a try and let you know my results. The addon appears to be working properly now, thank you very much. I also saw that you said there were currently no options, which indicates that you may be considering them at some future point. I'd assume that due to the purpose of the addon, one of the first things you might add is to allow the player to modify the color itself. 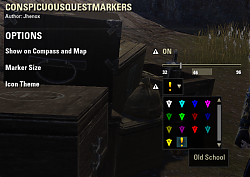 Another thing might be to distinguish between different types of markers such as quest pointers vs. portals, with separate color controls. Even if these aren't something that you're planning on for the near future, may I suggest that you modify the current color being used. 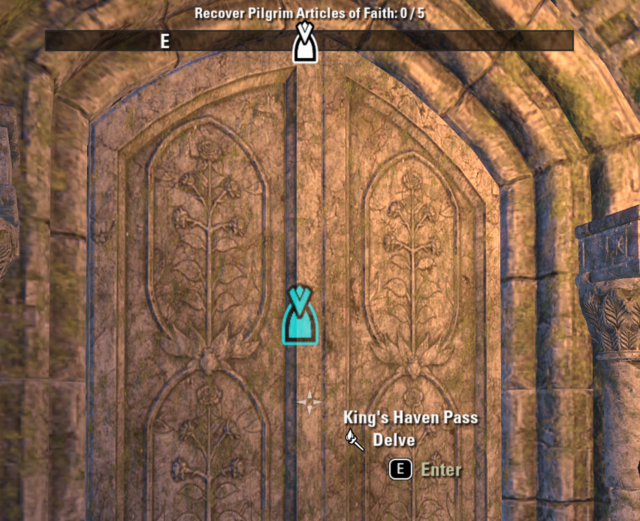 To tell the truth, for me, rather than being helpful in finding the pointers & portals on the map and compass, the color is actually a bit distracting to me. 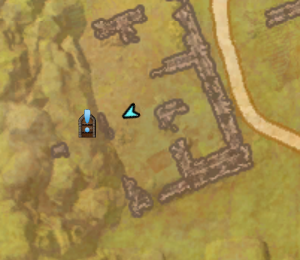 I know that there's also the Points of Color addon which I also use, but the default icons are still white, so if you used anything other than white that would be helpful in finding them on the map. I wonder if you even just pulled back a little on the saturation even if you kept the same general color, I think that would help. BTW, thanks for a very nice addon.